One of the most notorious Ukrainian members of parliament for the far-right party ‘Svoboda,’ Yuri Michalchyshyn, quits the party so that he can become head of the propaganda and analysis of the Ukraine Security Service, SBU. Mikhalchyshyn is an open nazi apologist holding an honorary medal of the SS Division Galychna. The reason cited for him leaving the party, after having spent some time as part of a volunteer battalion in the “anti terrorist operation” against the Donbas, is because party membership would not be compatible with his new job in the Security Service. Mikhalchyshyn himself had suggested in July 2014 the need to establish a Ministry of Propaganda, as part of the offensive against the Donbas. Unlike other Svoboda leaders who have at least attempted to tone down the most extreme edges of their far right ideology, Mykhalchyshyn does not hide his “radical” views and Nazi sympathies. In 2013, during the celebration of the 70th anniversary of the founding of the SS Galicia division of Ukranian volunteers in the nazi ranks, Mykhalchyshyn received a commemorative medal. The SS Galicia Division, together with the Ukrainian Insurgent Army carried out genocide against the Jews and a brutal ethnic cleansing of the local Polish population during WWII. 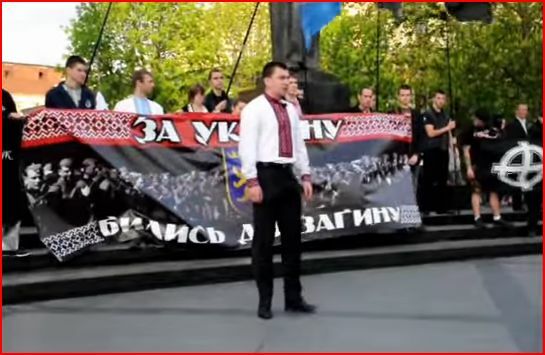 Describing himself variously as “autonomous nationalist”, “social-revolutionary”, “social-nationalist” or “revolutionary national-socialist”, Mykhalchyshyn, from Lviv, is one of Svoboda’s main ideologues. His PhD thesis was on “Transforming the political movement into a mass political party of a new type as an example NSDAP and PNF (comparative analysis)”. In 2005, he organized a political think tank, originally called “the Joseph Goebbels Political Research Center” but later re-named after the German conservative revolutionary Ernst Jünger. 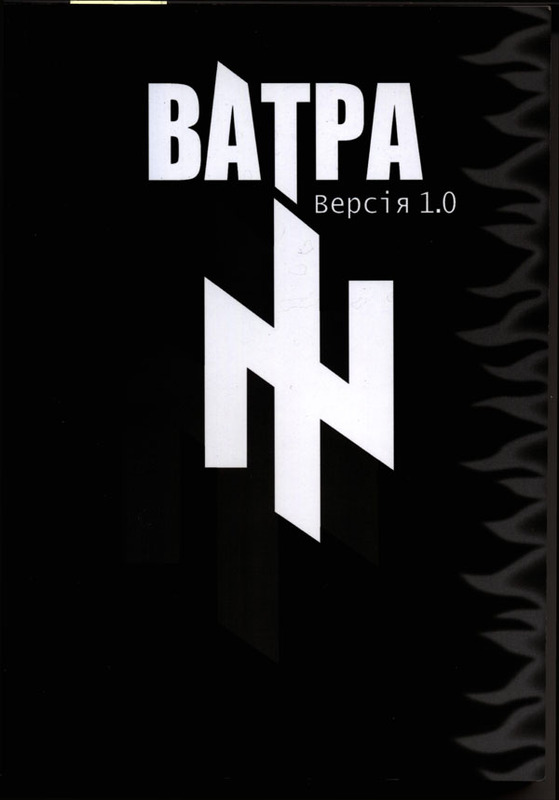 He also edited the openly neo-nazi “Bonfire – national revolutionary journal” including a special compilation of classic texts of nazi ideology under the heading of “Varta 1.0” which was really a guide to national-socialism, including the program of German nazi party NSDAP. This entry was posted in News and tagged Mykhalchyshyn, nazis, neo-nazis, SBU, Svoboda. Bookmark the permalink.